This week has been absolutely massive for Microsoft, with the company releasing Windows 10 to the public earlier this week. In just 24 hours, the OS has been installed on over 14 million devices, with more to come as Microsoft continues its gradual roll-out. 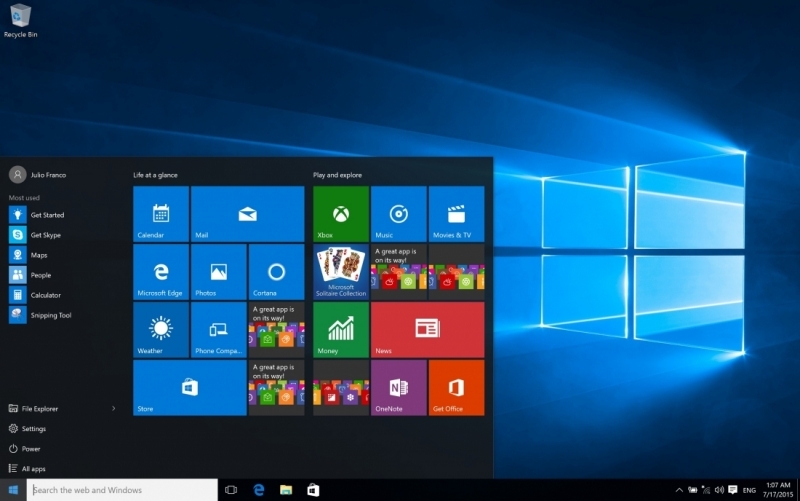 If you've installed Windows 10 on your system already, how has it been treating you? There are a lot of new features to explore, including the new Start menu, Cortana, windowed Modern apps, Continuum and more, but we've been hearing a few reports of bugs and issues that need fixing in the next few weeks. Is there anything you use on a regular basis that doesn't work on Windows 10? Is there anything that works better than ever on the new OS? Let us know in the comment section below, and if you haven't read it already, check out Julio's review of Windows 10 right here. I am unhappy with how Microsoft is forcing their online accounts to be used for all advanced features such as Cortana. I keep my machine on a domain for work purposes are feel as if I am being penalized for it. What do I think? I think I'm not brave enough to upgrade because I'm afraid stuff isn't going to work. Skidmarksdeluxe and DaveBG like this. Went smooth on my Surface Pro 2. In the process of doing my main laptop, my xps 1730 is gonna stay windows 7 for now. I definitely enjoy the new UI and features, not to buggy so far. I am sick of a call or text from friends or family either asking me if they should upgrade or they upgraded and something is wrong/missing asking for help. First impressions are I like it, very much! Its somewhat like Windows 7 meets android (swipe / slide bars). On the desktop it is nicer than Windows 8 and can be just like windows 8 on your touch screen device if you want. The most visible UI elements match a constant theme however as you get into different menu's, sub-menu's and controls they are inconsistent in look and feel. There is still much work to do for MS to bring the whole OS into one consistent finish. (1) Gaming PC with Windows 8.1, 2 x 980's in SLI. Time to upgrade about 20mins, very smooth. The Nvidia driver I had to download and install manually. Triple screens with SLI is working thus far. (2) A Dell i7 XPS I use as a server with Windows 7. Again very smooth about 30mins all up. (4) A friends i5 Desktop PC, AMD graphics, Windows 7. Very smooth about 30mins. (3) Surface Pro 2 with windows 8.1, was an nightmare. After upgrading I had DLL errors when running Office apps, three forced restarts in 20mins. To make matters worse I was not able to use Restore, Recovery or Reset, either with the recovery partition, a backup USB key I made when I received it and the SP2 recover image from MS. After about 15hrs of trial and error a new Win 10 ISO on USB, deleting all the partitions and rebooting in between the partition delete and second run of the Win 10 ISO the PC was running again. I lost my recovery partition's in the process. I'm in IT and so this kind of work is a daily job for me even with that experience it was a slow restart and try again process. For Surface users, if your Win 8.1 system has had recent issues with updates (I.e errors installing some or windows update taking a long time), this might be an indication of issues with the Win 10 update process. Also worth noting the Surface was the only PC I upgraded in the list attached to a Domain at the time and so subject to group policy. Amazing actually, I updated my Desktop gaming PC, My Hybrid Asus, and my wife's HP laptop and any of them had problems updating, it was rather quick, specially on my gaming rig. As for the operating system, I think it's the best OS I've ever used to date. The Start menu is really useful and very customizable. I updated last night and loving it. Amd already had drivers out and I was able to find beta creative X-fi drivers for my sound card so everything is working great. I find RDP sessions to the machine from work feel so much faster now too. I've also tried a few games and everything is running great. I could add another user to the system and log out and onto a Outlook.com account yes but I can not add the Outlook.com account as a sub account while logged into my domain. It would be a pain to log into another account anytime I wanted to use calendar, voice search, or Cortana in general. - The main feature for gamers is of course DX12 and it will take a while until games take advantage of that techonology. - Intel's Skylake platform is just around the corner and I plan to upgrade some key hardware components, including the main SSD, so that will require a new OS installation. - I want to give it a little time for the software/drivers/compatibility and for people to investigate all the compatibility "fixes" for the new OS. For example, drivers for my Creative SoundBlaster ZxR soundcard are yet to be released (according to Creative they will be released within this month, but who can trust them with drivers at this point). To sum up, I will upgrade in the coming months once the drivers and software have matured enough so I don't get any nasty surprises. hahahanoobs and H3llion like this. I upgraded two evenings ago and then I found that it constantly froze at the Desktop - finally managed to get to the 'rollback to W7' option and get back to sanity. I'm liking it, for anyone who is having slow boots up, or sluggish overall try CCleaner, and also use it's registry cleaner, lots of junk was left over from my previous windows OS(7). Make sure to derangement aswell. Also Task Manager has a start-up tab where you can disable and help boot times. It's running extremely smooth, especially now that I really tailored to my liking, and removed onedrive and other bloatware permanently. Actually I'm liking Win 10 very much so far, it's a lot better than that Win 8 mess. As with everything new not quite perfect. Installing the system caused some issues - when I tried to roll back to Windows 7 it could not find any restore point (WindowsOld was on the hard drive just couldn't access it). Couple of patches later and the system is more stable. Given the choice between a complete re-build from Win7 disc or putting up with it decided to make it work (for the moment). Cant find the network feature for setting WiFi connection priority so there is no way to pick which of the home networks I connect to from start-up and "hidden" networks (those at home not broadcasting SSID but installed on the PC) do not show in the connections list meaning you cant just click and connect - click hidden network and you set up a copy of one your created earlier. Lots of default switches allow the computer to merrily hook up with external activity. Still finding the pages to keep my PC secure. Oh and on this SSD machine all those tweaks added whilst running Windows 7 e,g, disabling Superfetch are back on. Have to create passcode then Microsoft wants account password at every turn! Outlook will not read from multiple email accounts but only one at a time, when I want all my emails in one place at one time. I think there is a lot more work to be done on this system yet ! My thoughts are that MS is forcing too much stuff onto you, I heard users who are less paying will get less secure updates so MS can test them. Also, privacy is a big concern. But I have to say that as an OS it works pretty good, had no problems with it so far. I disabled all the botnets I could find and deleted preloaded apps. So how many minutes have you lasted ? Am I the only one who thinks its not better than 7. Sure it's better than 8 but you also give away a lot more of your privacy by default unless you turn all that off. Also I shouldn't be forced to use a Microsoft online windows account if I want to use features. And I was also noticing lag compared to my 8.1 after the upgrade. Sure a clean install may fix that but I upgraded from way back when and never had issues before. Maybe wait a few months for patches to roll out to fix lingering issues. I am thinking its WAY over hyped. I give it a 7 out of 10. Windows 8 I give a 5 out of 10 if u use a start menu replacement. And windows 7 I give it 9 out of 10. Wife and I have laptops, mine 3 years old, hers now a new Lenovo upgraded to Win10 by dealer. Used only for email and web browsing, online shopping. Her old laptop spiraled gradually into the ground, nobody could help, bought new laptop for about $400, runs great for her. She had no problem adapting to win10 from our old win7. I have put in request to upgrade, waiting for notification of availability. I like to waste time with Solitaire, have heard win10 solitaire will be peppered with ads unless I pay $99 a year. Can anyone verify this? Overall very nice, Few glitches to work out. Spartan is pretty barebones at the moment and I found myself being forced to install chrome again. No right click "search google for" or extensions. new tab page is annoying. Bloatware, I dont want or need groove music or candy crap saga. Taskbar can be a little sensitive, Closing full screen you tube videos can be a pain. Cortana is nice, but gimmicky, Same for web notes. Few updates and all should be perfect.